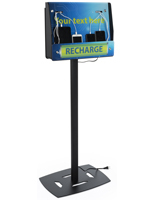 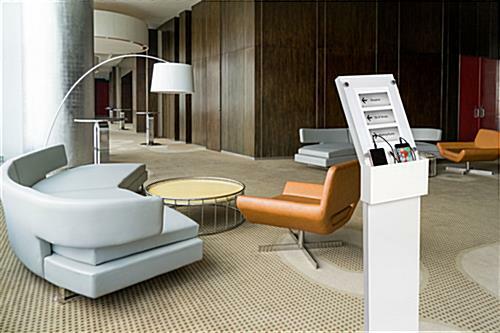 Our cell phone charging station with sign is a low-cost kiosk with display compartment designed to improve customer satisfaction by providing free waiting room mobile charging for your customers. 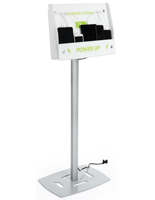 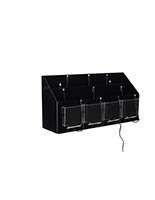 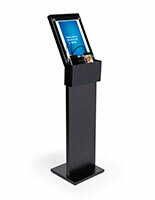 The signage power dock is equipped with an 8.5” by 11” acrylic frame to allow you to communicate with clients while they use the kiosk in a doctor’s office. 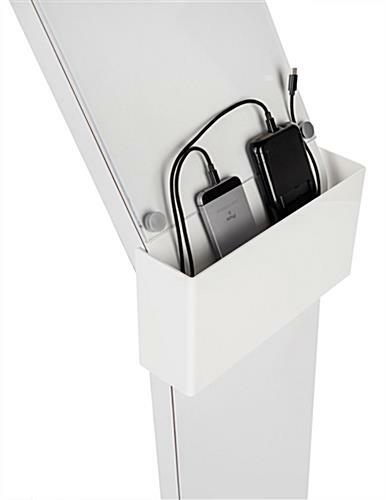 A sharp modern design allows the phone charging station with sign to be a simple method to incorporate technology and professional elegance to any doctor’s office. 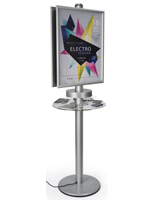 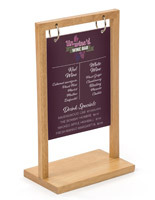 Integrating marketing into your hotel lobby, medical office, airport lounge, or library will be easy with this lightweight 23 lb. 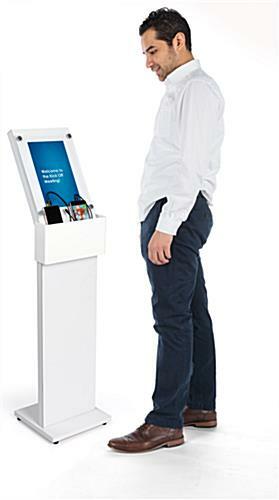 power kiosk. 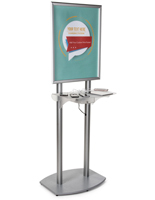 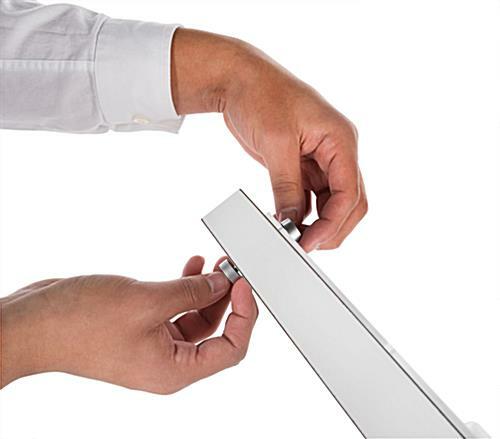 Setting up signage is quick thanks to the aluminum standoffs that rotate to hold waiting room marketing materials securely in place. 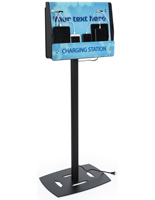 Compatible with Micro-USB, Apple® lightning, and Type-C mobiles, the phone charging station dock will meet the needs of all your clients.